Before I moved on to the next project I felt like doing a few more rings. Usually I draw or sculpt my hearts rather “voluptuous”. To me, it just looks like that’s what they should be…really full. This ring is wearing a corset for that reason. She is top-heavy inspired. 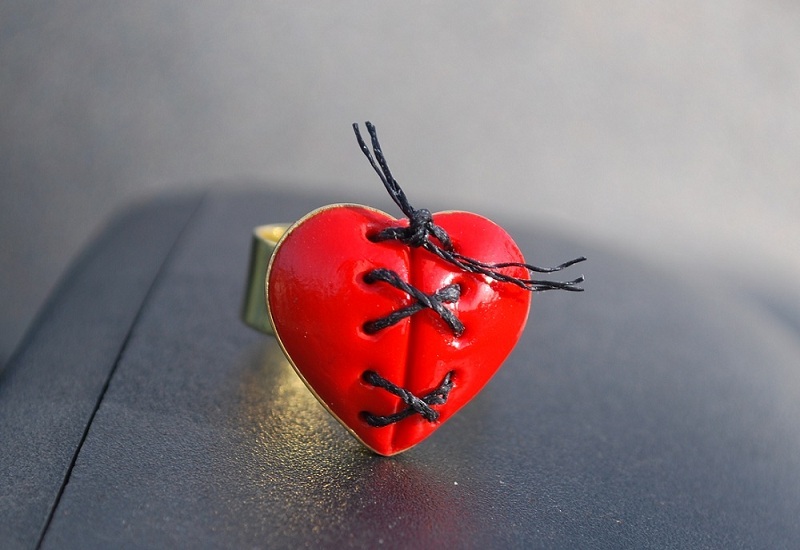 This item is featured in this treasury today on Etsy, yikes! Thanks to my friend Gloria I’ve started doodling again. She shared with me all she knows about Zentangle, the latest new old thing… sort of. Google Zentangle, you will be amazed what can be done with a piece of paper and a Sharpie! A lot of artists are Zentangling on anything they can get ahold of that’s white, or just looks like it needs a little zen! 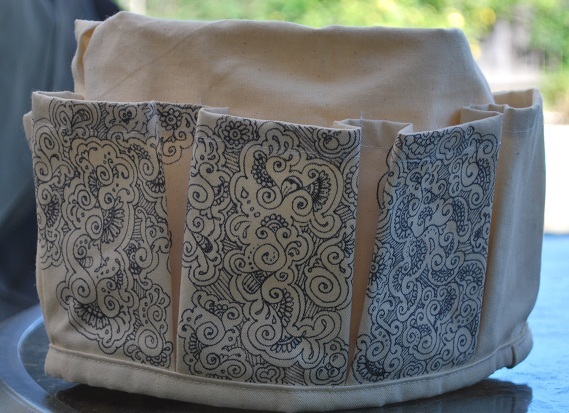 This is a bucket cover I made out of canvas. Obviously, I couldn’t leave it PLAIN! Before I really checked out the Zentangle sites I found the Mehndi Henna Tattoo Art very interesting and played around with it. I have a scratch pad all doodled up like this. Drawing and doodles were my first loves in art. I am really enjoying putting pen/pencil to paper again. It seems like I haven’t been sharing much of what I’ve been doing lately. I guess I have been actually doing stuff! I have pushed the clay to the side for a bit (not really, just in my head, it’s still all over the dining room). My sister-in-law’s quilt guild had a mini retreat this past Saturday. I offered to help her make some thread bags, one for each attendee. We made 35 all together. A thread bag is usually just a paper bag, taped to the table, to catch the threads you clip off of whatever you’re sewing. Yeah, a little trash bag. 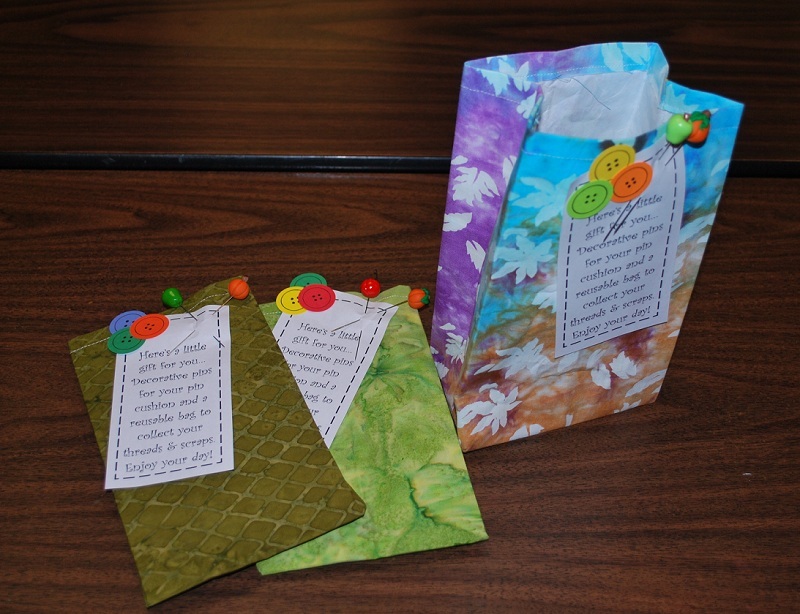 So rather than making life easy and using paper, we decided to sew fabric bags. 35 is a bigger number than we first thought! I also gave everyone a couple of decorative pins. I had to get a little polymer clay in there! Getting Ready For Holiday Craft Shows! I think I have decided that I like fall the best. I love thinking about the change in colors and the warm feelings it brings. But since I live in sunny California I don’t really get to enjoy much of the fall colors unless I am making them myself. That is exactly what I have been doing this past week. 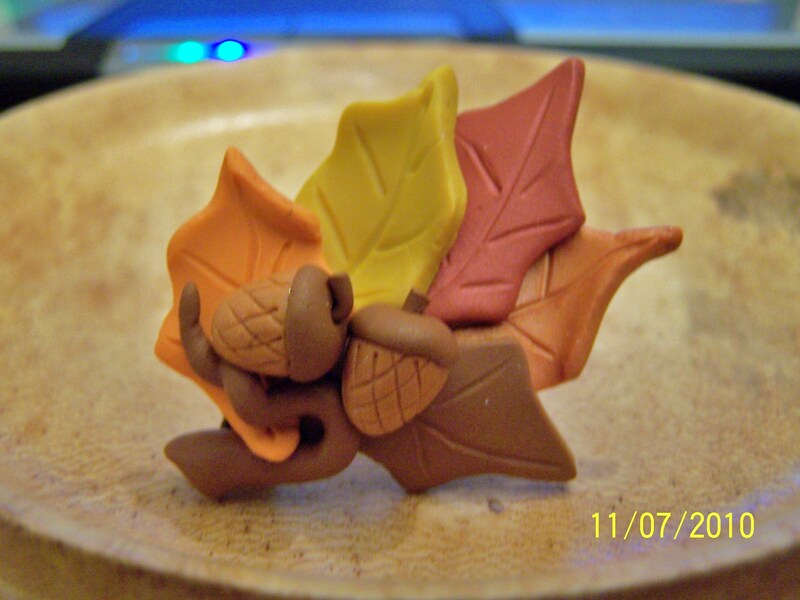 Making lots of leaves and acorns that I have made pins with and then more leaves that I plan to turn into earrings and necklace pieces. I really like how they came out. I used cutters to make most of the leaves.